Energy Shield Windows & Doors Exterior French Door Installation in AZ. Since 1996, Energy Shield Window & Door Company has offered a variety of products that beautify and enhance homes while allowing Arizonans to enjoy life comfortably in the Valley of the Sun. We install energy efficient French doors and have a variety of styles and options available to meet your budget and taste. Visit our showroom in Phoenix, AZ and see what French door installation options we have on offer for you, or get in touch with an Energy Shield representative to schedule an in-home quote. Get energy efficient French door installation with $0 down, 0% interest financing in Arizona from Energy Shield. For those who want privacy without the need of dusting and replacing blinds, consider our French doors with the blinds built right in between panes of glass. These blinds are provide a great way to give an extra level of privacy without the need of installing extra rods or frames upon the door. A convenient operator handle allows for the ease of lifting and tilting blinds without the presence of cords that can dangle and attract unwanted attention from curious youngsters or pets. A variety of optional sidelite windows are also available to accompany the doors. These windows allow for greater light and enhance the view of the French doors. 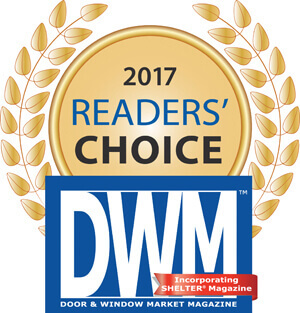 Energy Shield Window & Door Company offers a convenient, one-stop solution for your door and window needs in the Phoenix metropolitan area. As you consider home improvements, we encourage you to take a video tour of our factory. See our current specials going on now.